Apex Hotels will be on hand this Mother’s Day to help new families celebrate together – without a cold meal in sight. The national family-owned hotel group, headquartered in Edinburgh, is offering the ideal meal accompaniment on Sunday 31st March – a designated Apex Nanny. In celebration of Mother’s Day, families can enjoy either a two or three course meal, free glass of fizz for mum and an Apex Nanny at the table to see to the baby of the group, allowing both parents to enjoy their meal together – a scarce occasion with a new born – with baby still by their side. 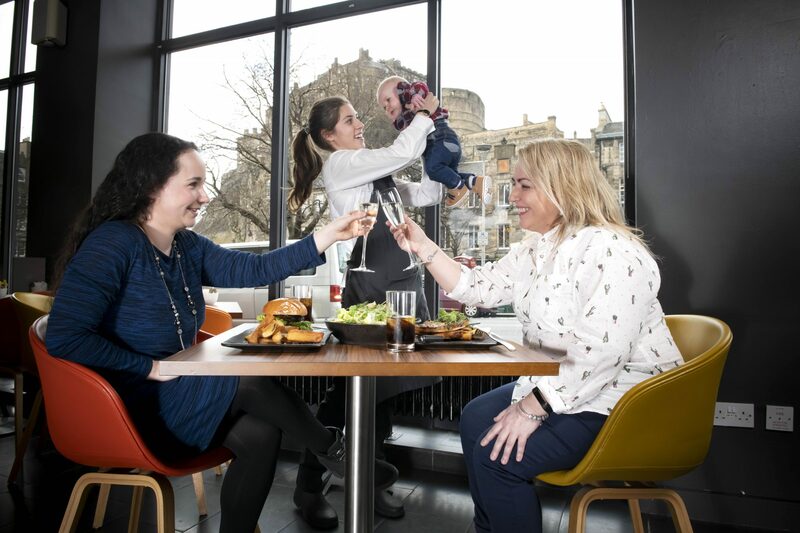 The mum-umental offer will see the package rolled out across all 10 of the group’s hotels in Edinburgh, Glasgow, Dundee, Bath and London – guaranteeing no-one but the ‘nanny’ is left holding the baby whilst they tuck into their Mother’s Day meal. Joining mums, dads and families at the table across the portfolio will be Apex Nannies, provided by local, fully accredited babysitting groups, ensuring the little ones can enjoy their mum’s big day out as well. The hands free Mother’s Day package, with two courses plus a glass of prosecco start from £21.50 or three courses plus a glass of prosecco from £26.50. Packages are only available to book over the phone, with a limited number of tables available at each hotel.